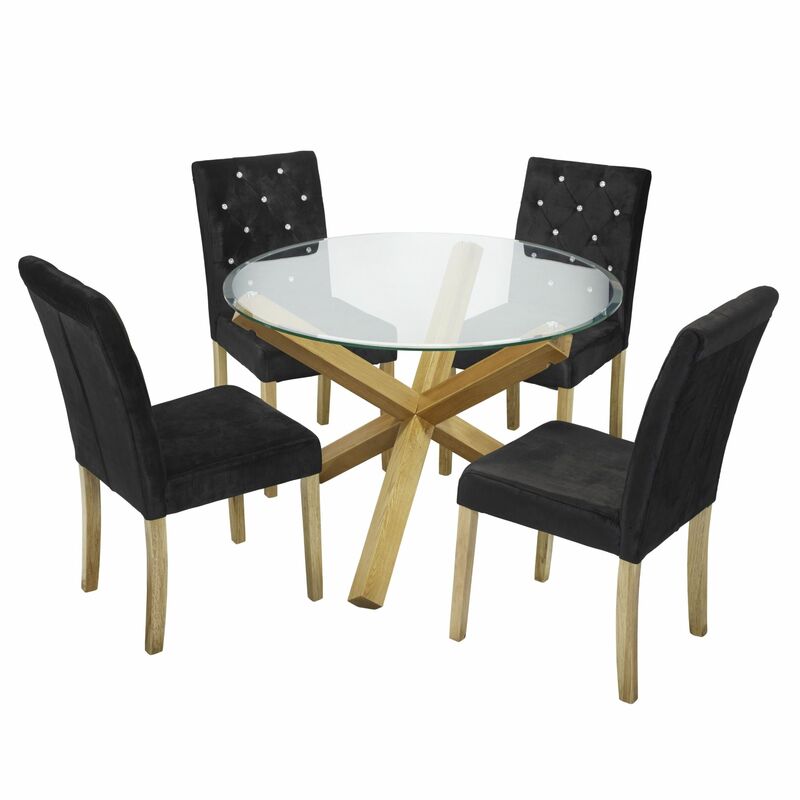 The contemporary Ellister Oporto Indoor Dining Table offers a unique and stylish design for all dining areas. 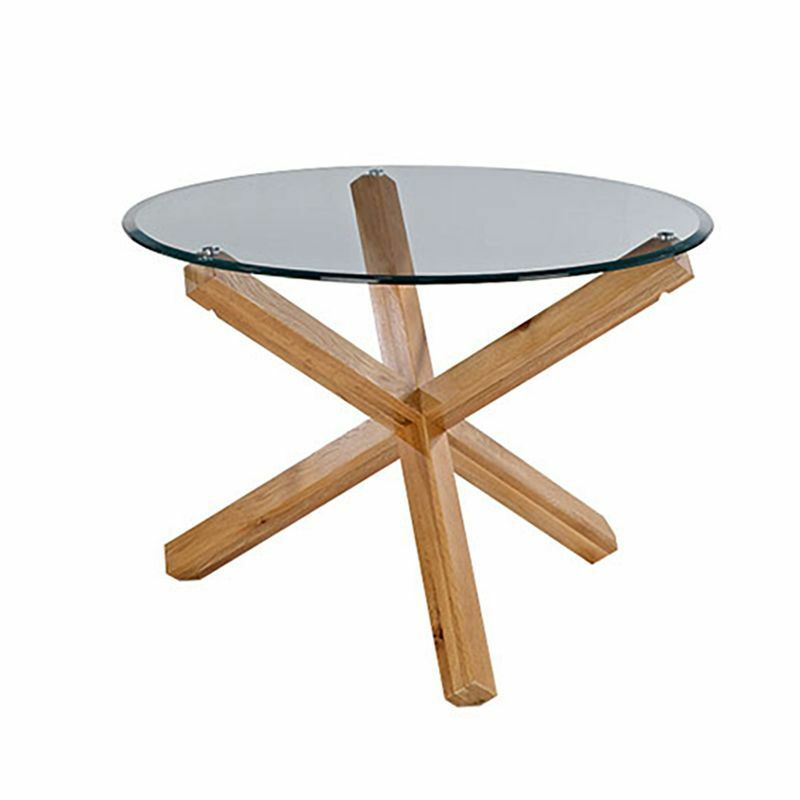 Crafted with solid oak wood legs in a criss cross design which provides excellent stability and durability, as well as adding a designer touch to any home. Dining chairs are not included and are shown for illustrative purposes only.